Your home is likely your largest asset, so there is no doubt when it comes time to putting it up on the market, you will want to know what the law requires if you make a profit, capital gain, on its sale. This might also help you determine how long you stay in your home before you decide to sell, and how much you decide to sell your home for. 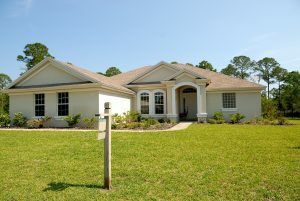 The gain on the sale of a home is considered a gain on the sale of a capital asset. There are both short-term capital gains and long-term gains. Short-term gains are gains on investments (i.e. home, stock, land, business, etc.) which are sold after owning for less than a year. The gains on these investment are taxed as regular income. Long-term capital gains are on assets that you hold for longer than a year. Under the Tax Cuts and Jobs Act, as of 2018, long-term gains are taxed at 0%, 15% and 20% depending on your income bracket. Gain on the sale of a home may only be taxable to the extent it exceeds $250,000 ($500,000 for joint filers). Because most people own their homes for over a year, it is important to understand long-term gains and the exclusions that exist for tax purposes. When determining your capital gains, subtract the cost you paid for your home from the price your home sold for. Also, deduct any costs associated with remodeling or other qualifying improvements made to the home. You can also adjust the amount for any fees associated with a real estate commission, closing fees or legal fees you agreed to, or were required to pay, when purchasing your home. These deductions are what is often called your “cost basis.” These costs, in addition to any selling expenses incurred, is deducted from what your home sold for. This is roughly how you will account for the capital gains. You can estimate your capital gains by using our calculator. An exclusion of up to $250,000 for single filers ($500,000 for joint filers) of the profit from the sale of the home is now available to all taxpayers. You can claim the exclusion once every 2 years. To be eligible, you must have owned the residence and occupied it as a principal residence for at least 2 of the 5 years before the sale of your home, and for the two years prior to the sale you must not have excluded gain from the sale of another home. If you fail to meet these requirements by reason of a change in place of employment, health, or other unforeseen circumstances you may still be able to take advantage of other home sale tax exclusions. This may exclude some gain on your primary residence for tax purposes. Be aware that this will involve keeping close track of records and meeting with a tax professional to make sure it applies to your situation. Navigating personal finance has become a lot easier with our resources at Money Help Center. Be sure to use our calculators to answer your financial questions, and find out your financial stability by taking the FIST score test!